Living a Fit and Full Life: Relieve Common Cold Symptoms with Boiron Chestal® Cold & Cough! 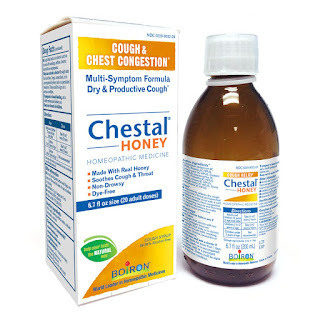 Relieve Common Cold Symptoms with Boiron Chestal® Cold & Cough! Relieve common cold symptoms with Boiron Chestal® Cold & Cough! Boiron Chestal® Cold & Cough and Chestal® Honey are my favorite products to deal with cold and cough symptoms. My kids recently caught a cold and had one of the worst nagging dry coughs that they've had so far. Every night they'd wake up coughing and just couldn't stop. I would give them a dose of Children’s Chestal® Honey and their cough would immediately stop allowing them to get the rest they needed to heal. I then came down with the cold and began using Chestal® Cold & Cough to relieve my symptoms. I love how well it helped me with my nasal and chest congestion and sore throat. It definitely helped me get through the day. 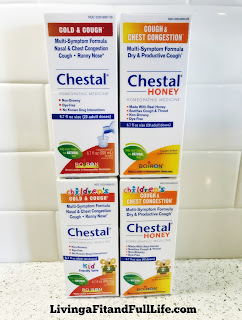 With kids back in school and germs being passed around daily, I highly suggest you all stock up on Boiron Chestal® Cold & Cough and Boiron Chestal Honey! Click HERE to find a store near you that sells Boiron! Click HERE to learn more about Boiron! Follow Boiron on social media!